Laura Shames has a Masters in Social Work and is a Board Certified Licensed Clinical Social Worker and Psychotherapist with the Board of Behavioral Science. Laura uses the client’s inherent strengths and builds on them to find solutions to challenges that help the client create their unique path. Laura earned her Bachelors of Science at the University of Illinois in Urbana-Champaign and acquired her Masters in Social Work in 1993 from Loyola University in Chicago Illinois specializing in clinical therapy. 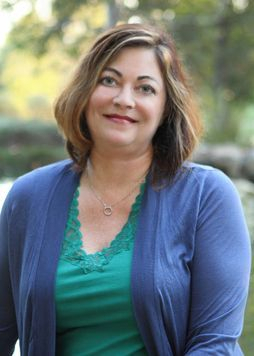 In 1993, Laura began her career in Los Angeles California as a clinical therapist at Masada Group Homes for adolescent boys on probation working with adolescents, families, rendering initial clinical assessments and diagnosis, developing long-term treatment plans leading to reunification or emancipation. Laura continued her work at Starview Center a psychiatric hospital in which she worked with adolescents, adult’s, families and groups and received extensive training in psychodynamic and psychoanalytic therapy. Later, with years of supportive mentorship, she progressed as a Licensed Clinical Therapist at the Department of Mental Health in Los Angeles California running individual, couples, family and group therapy for all ages. Laura developed the Dual Diagnosis Program for the Department of Mental Health in Los Angeles, supervised clinicians and Social Work Interns, ran numerous groups, including multifamily groups, male and female teen groups, as well as creating an in house Alcoholics Anonymous program. Laura was chosen to conduct therapy for the UCLA Depression Study, in which she received extensive training. Laura was a member of the Children’s Crisis Team which served group homes in Los Angeles. During this time Laura opened a thriving private practice in Los Angeles in which she worked with individuals, couples and families. Laura departed from the Department of Mental Health to work with active duty Marines, Navy personnel and their families at Navy Hospital Camp Pendleton in Oceanside California. Laura aided in building the Camp Pendleton Intensive Outpatient Program serving the mental health needs of the Navy and Marine active duty personnel and their families. Laura specialized in conducting individual, couples, family and group therapy for clients that are diagnosed with depression, anxiety, adjustment disorders, post traumatic stress disorder, and substance abuse. Laura conducted psychosocial assessments, treatment plans; mental status examines and discharge planning. Laura performed consultations for the Family Advocacy Program, Psychiatric Technicians, Substance Abuse Rehabilitation Program and Consolidated Substance Abuse Counseling Center counselors. Laura received extensive training in evidenced base Cognitive Process Therapy and facilitated individual and group Cognitive Process Therapy. Laura participated and collaborated with Navy Combat Operational Stress Control to coordinate the collection of data from Cognitive Process Therapy groups for continued research. Laura continues to build on her practice skills, contribute to needed clinical research and nurtures new leaders emerging in the social work practice. Now, Laura’s passionate pursuit is reopening her private practice and bringing her excellent clinical therapeutic services to the San Diego community and beyond utilizing phone consultations, as well as, Skype. Laura provides individual, couples, family, group therapy and life counseling. A small seed filled with hope and fear will play out a delicate dance of growth between its own inherent strength and its environment of sun, rain and wind. With roots planted deeply in the ground the sapling rises up to greet each new day with pride and joy. As the years pass, the tree’s branches stretch out and sway in the sunlight--delighted in its freedom. With the change of seasons, the tree’s vitality seems to die and then, miraculously, is reborn. The tree becomes an integral part of the woods, swaying to the rhythm of life; growing stronger and wiser each season.